Car Kept In Original Condition! 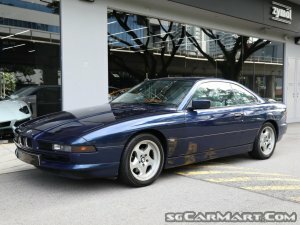 Beautiful BMW 850i In Singapore, Dark Blue Exterior With Light Grey Interior, Perfect Daily Car, Collector's Item, Own A Piece Of BMW History, Very Exclusive Model, Regularly Driven, Please Call Now To Arrange A Viewing. 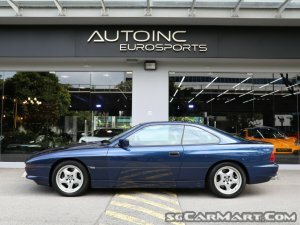 Features: Front Engine, Rear Wheel Drive, 2 Plus 2 Passenger, 2 Doors Coupe, V-12, Power: 296 Hp At 5200 Rpm, Torque: 332 Lb-ft At 4100 Rpm. 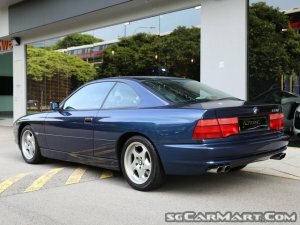 Accessories: 6 Speed Automatic Gearbox Linked To A Silky Smooth 5 Litre V12 Gives A Unparalleled Ride When It Was Launched. Quad Exhaust Pipes With Real Character.